The Boghosian family has been farming for over 75 years. Established in 1938, and processing and marketing since 1965, our business has evolved into a financially strong, fully vertically integrated operation. Our customer base consists of industrial, foodservice, retail, and organic companies who demand the highest quality product. 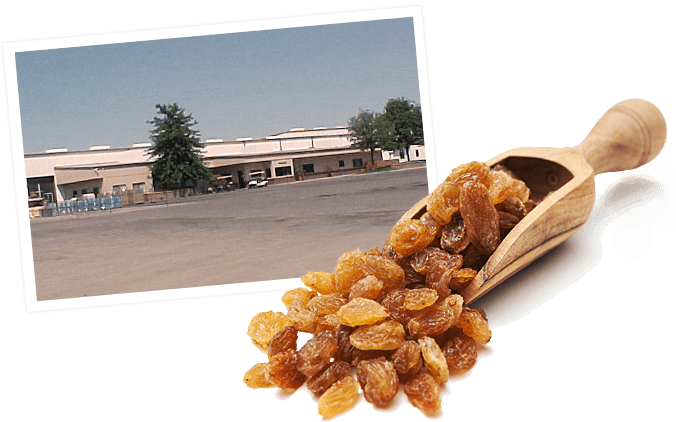 Our mission is for our personnel, processing facilities, farming operations, marketing, and distribution to be the model for the domestic and international dried fruit industry. Our purpose is to educate the customer and consumer as to the enjoyment, nutrition, and value when purchasing Boghosian products. Our core value is to supply our customers with the highest quality product at the greatest value. Boghosian Brothers has successfully led the development and implementation of new and more efficient farming methods such as the DOV (Dried on the Vine) trellis system. This farming system increases production per acre while using less energy, water, labor and commercial agricultural chemicals. Obtaining global certifications is paramount to our success in the industry. Our list of certifications is detailed below. Recently we have obtained our SQF Level 2 certification which has become the international symbol for global companies. SQF is recognized by retailers and foodservice providers around the world who require a rigorous, credible food safety management system. Using the SQF certification program will help reduce assessment inconsistencies and costs of multiple assessment standards. The SQF Program is recognized by the Global Food Safety Initiative (GFSI) and links primary production certification to food manufacturing, distribution and agent/broker management certification. Administered by the Food Marketing Institute (FMI), SQF benefits from continual retailer feedback about consumer concerns. These benefits are passed on to SQF certified suppliers, keeping them a step ahead of their competitors. SQF is the only scheme to integrate a quality component as well as food safety.